OK, this question is a pretty easy one to answer, right? We would all prefer to experience pleasure rather than pain. But what if we had to experience some pain in order to acquire the thing that gifted us with pleasure? Well, this is where it gets interesting. From prehistoric times, our subconscious was wired to keep us safe. Programmed to avoid danger. Pain is weakness and something that we should avoid. It is all about survival. The thought of pleasure is far in the background. Today we still live with this code written into our genes, though our lifestyles have changed dramatically through advancement. Though the list of pains and pleasures are now quite different, our inbuilt behaviours have not. Sounds pretty brutal, doesn’t it. What I am going to take you through, however, is an exercise where you ask yourself a few questions in relation to your existing clients. The answers may give you some insight into looking for and marketing to prospective clients. Where there any particular pain points that you solved for them? Are these pain points common in that industry, or across industries? Can you get a testimonial/do a case study in relation to solving this pain point? By understanding the pain points of your best client and how you can help others with the same issues, you are more likely to be able to market to and attract similar clients. We all want more clients like our best one, hence the reason to understand how to help them with the things that cause them the most pain. A good exercise is to take a look at all the goods and services that your business provides and then make a list of all the pain points that you can think of that each good/service can assist with. Sometimes these are quite obvious, but others may take some thought. By listing all these out, you can now have the opportunity to formulate a marketing strategy that is focused on helping people avoid things that cause them pain. Knowing that people do more to avoid pain than gain pleasure, we can tailor or marketing strategies to suit. Mentioning a problem that your clients potentially have and then providing them with a solution is a surefire way to get their attention. 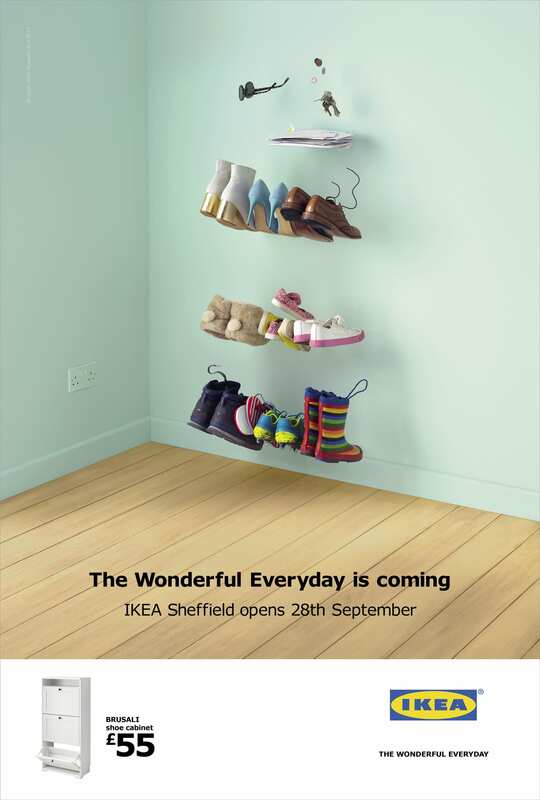 Below is an ad from IKEA that demonstrates the pain that their customers will have if they do not purchase their shoe cabinet. By buying the cabinet, you will avoid the pain of trying to find a location for all those items. Helping others find solutions for their pain points is rewarding. There is a great sense of satisfaction that comes with helping others achieve their goals, especially if you have helped make the process easier. Your goods/services have the potential to reduce someones physical, mental or emotional pain. If you take the time to understand what the pain is that you can assist with and promote that to those in need, you will find that both parties will find pleasure with the experience.